When work offers you the job of a lifetime on a beach in the South of France (we wish, right?!) it seems like a treat when they throw in a relocation benefit. For one brief second you're lulled into the hope that you won't have to worry about selling your home. Then you attempt to understand the fine print and realize that you can't just call any of the thousands of real estate agents in the area. You _have_ to hire an agent who is relocation certified. This is when Jess Mudrick swoops in like Super(wo)man and takes over to help you. She's a fine-print reading wizard. No document is too dense or too long. Did you know she's also an accomplished speed-reader? Fact. 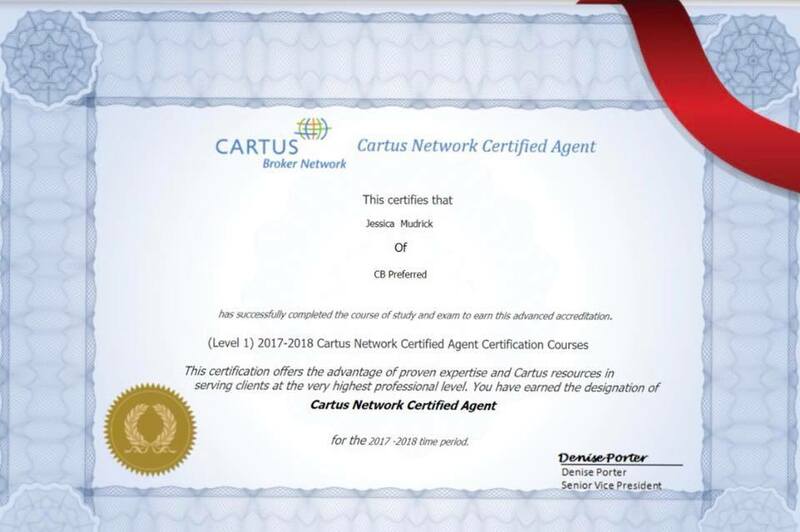 As our newest relocation certified specialist, Jess will communicate with each relocation company to make sure she understands exactly how to best manage your transaction. Jess has experience helping Vince with relocation in the past - and has always wanted to be certified in order to be able to provide the fullest level of service she can. So, if you... or anyone you know... is climbing the corporate ladder to bigger and better things, ask Jess Mudrick to handle the heavy lifting.